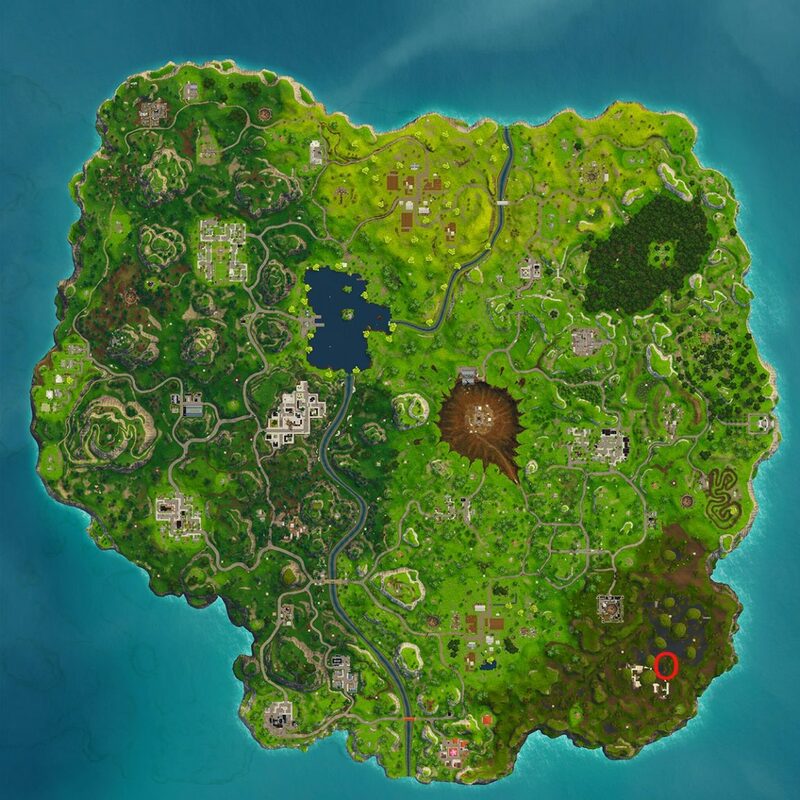 The week 4 challenges in Fortnite send you on a hunt for a giant Battle Star, so you don’t get lost, use our map. Here’s where to search between a Bench, Ice Cream Truck and a Helicopter. You need to get this challenge finished before Fortnite season 5 starts this Thursday. This week’s “search between” challenge is fairly easy, and there’s a good chance you’ve already seen a crashed helicopter knocking around the map. To jog you memory, you’ll find one as part of the film set in Moisty Mires. Just to the north of the film set (and south of a large tree) you’ll find the Battle Star on a patch of dirt. As you get close it will pop into view and you can grab it to claim another 10 Battle Stars. Check it out on the map below – we recommend bombing straight out of the Battle Bus and landing on it as soon as you start a new match. If you’re looking for help with the rest of the Fortnite Week 4 Challenges we have them all listed here as they’re already live. you might need some help visiting three different storm circles in a single match. If you’re looking for more fun in Fortnite today, Epic Games has released jetpacks into the wild for a limited time. Remember that all previous weekly challenges are still live if you need to clear up a few more of those.